We are supporting the 2017 European Cycle Challenge and need your help to get on the leader boards. The European Cycling Challenge is an urban cycling competition taking place between 1 May and 31 May 2017. In 2016, 52 cities from 17 countries joined the challenge, and 46,000 people cycled 4,000,000km during the event. The city that cycles the longest total distance wins. This year Greater Manchester is taking part for the first time, and the entry will be led and promoted by Transport for Greater Manchester. Anyone can join in, it’s easy to take part and you don’t have to be a cycling enthusiast. Any cycling you do counts towards the challenge, only competitive sporting events and static bike miles aren’t included. That’s it – you’re all ready to go on 1 May. There will be spot prizes to be won throughout the challenge direct from the ECC, including shopping vouchers of £150, £75 and £50 every week. To qualify for the weekly raffle you just have to have registered and logged a minimum of 10km to be entered. We will have a small prize for the University member who tops our leaderboard too! This entry was posted in Events on April 28, 2017 by Rachel Lea. Get in the saddle for Cycle to Work Day and encourage your colleagues, friends and family to give cycling a go too. Cycle to Work Day is a national event held this year on Wednesday 14 September 2016. It aims to encourage everyone to take to two wheels and cycle to work for at least one day. By pledging to cycle on the Cycle to Work Day website you are entered into a competition to win prizes including bikes and cycling accessories. Bike shops across the UK are offering Cycle to Work Day participants a free bike health check from the 1st to the 14th of September. Transport for Greater Manchester’s #JustRide cycling campaign is in full flow with events organised across Greater Manchester. TfGM offer a variety of services to support cycling including free cycle training, free bike maintenance courses and cycle route maps. The TfGM cycling team will be in Piccadilly Gardens between 11am and 3pm on Cycle to Work Day handing out goodies and offering advice on all things cycling. Dr Bike will be on hand between 12-2pm to repair any bikes that need some TLC. Throughout the Summer, bike recycling centres across the country will be taking part in the Big Bike Revival Summer of Cycling, organised by Cycling UK. There are loads of local events and activities taking place, including maintenance training, bike rides and equipment trials. This entry was posted in Events on September 1, 2016 by Rachel Lea. Through the EU funded Triangulum project, electric cargo bikes are now available to hire free of charge to staff from The University of Manchester, Manchester Metropolitan University, the Central Manchester University Hospitals NHS Foundation Trust and businesses based on the Oxford Road Corridor. The Triangulum project partners in Manchester are working together to create a smart city district within Corridor Manchester. This includes increasing the number of electric vehicles and electric bikes being used, reducing the reliance on diesel and petrol vehicles and in turn reducing carbon emissions, traffic congestion and pollution. Manchester Bike Hire has been commissioned by Triangulum to provide an electric cargo bike loan scheme. The modern electric cargo bike fleet allows Corridor partners the opportunity to try out bikes of different designs and sizes, all free of charge. The fleet is zero emission, with improved environmental impact when the batteries are charged from renewable sources. The electric cargo bike loan scheme will enable staff to learn whether a bike can be integrated into their day-to-day operations on a permanent basis. The scheme incorporates up-to-date data collection and asset management techniques, using online reservations and GPS tracking, along with digital maintenance and repair record-keeping. Users will be provided with cargo bike familiarisation training before hire. To book an electric cargo bike demonstration contact Manchester Bike Hire or call: 07523 092285. This entry was posted in News on July 28, 2016 by Rachel Lea. Transport for Greater Manchester are looking for cyclists who are interested in starring in their new campaign to encourage people to get on a bike. TfGM are launching the drive to highlight the health benefits of riding a bike and are looking for enthusiastic people to take centre stage, possibly appearing in posters, leaflets, case studies and a video. They’re looking for people of all ages from across Greater Manchester, particularly anyone who initially started cycling to improve their health. If you’re interested, email becky@divacreative.com with ‘Cycling Campaign’ in the subject field. Tell her where you live, what journeys you make by bike, and leave your full name and daytime contact number. If possible, also send a photo of you and your bike. The campaign will run over the summer and follows in the footsteps of last year’s Life on 2 Wheels campaign, which encouraged people across Greater Manchester to start cycling. This entry was posted in News on April 7, 2016 by Rachel Lea. UMBUG would like to collate a library of cycling videos from across Manchester to promote cycling and we are looking for UMBUG members to film their commute. any footage that promotes cycling to work. 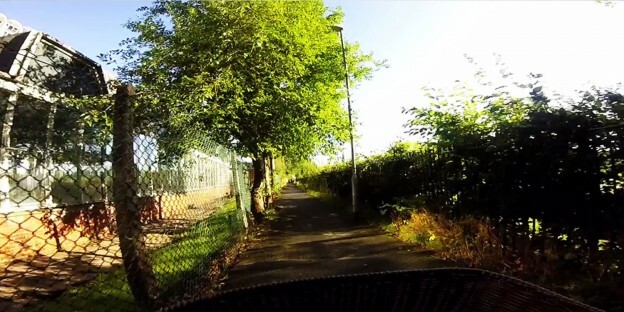 To film your commute, the Environmental Sustainability team have a GoPro Hero video camera with a handlebar/seatpost/pole mount that you can borrow. Please contact UMBUG at umbug@manchester.ac.uk to borrow it. Please use the video mode rather than time lapse. Resolution should be set to 1080-25. The camera comes with a Quick Start Guide and you can find more detailed information in the GoPro User Manual. Please just let us know if you have any alternative equipment suggestions that would make filming with the GoPro easier. We will also happily accept footage filmed on your own camera if you have one. You do not have to worry about editing the footage (unless you want to). When you return the camera, will we download the files and edit them. If you are interested in editing them yourself, GoPro Studio is a free and user friendly option. This entry was posted in News on February 3, 2016 by Rachel Lea.